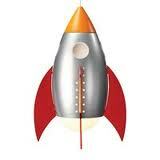 I’ve seen spaceship designs returning to the more whimsical acorn rocket shape of the 1950’s lately and I like it. 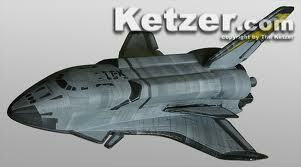 If there is one hopeful thing that will come with the end of the NASA space shuttle program it will be that Hollywood will stop using that inelegant, low orbit-utilitarian vehicle as a basis for space craft. I look forward to a return to a future full of long sleek lines with stylishly fit pieces that mold into clean, tight forms. 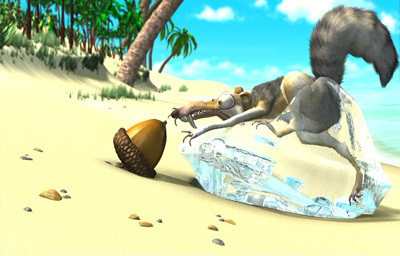 When I read my first book that referred to the acorn shape of a rocket, I had been stuck thinking of the cartoon acorns like the one that pre-historic squirrel, Scrat, chases around in Ice Age.It was hard to get excited about a short squat rocket with a bulbous bottom like those cartoon acorns. That sort of acorn is really not the kind commonly found where I live by the thousands this time of year. With all of the oak trees around my home, there is a constant bombardment of rockets falling from the sky during the fall months. These acorns are the sleek shapes that many rocket dreams are made of.